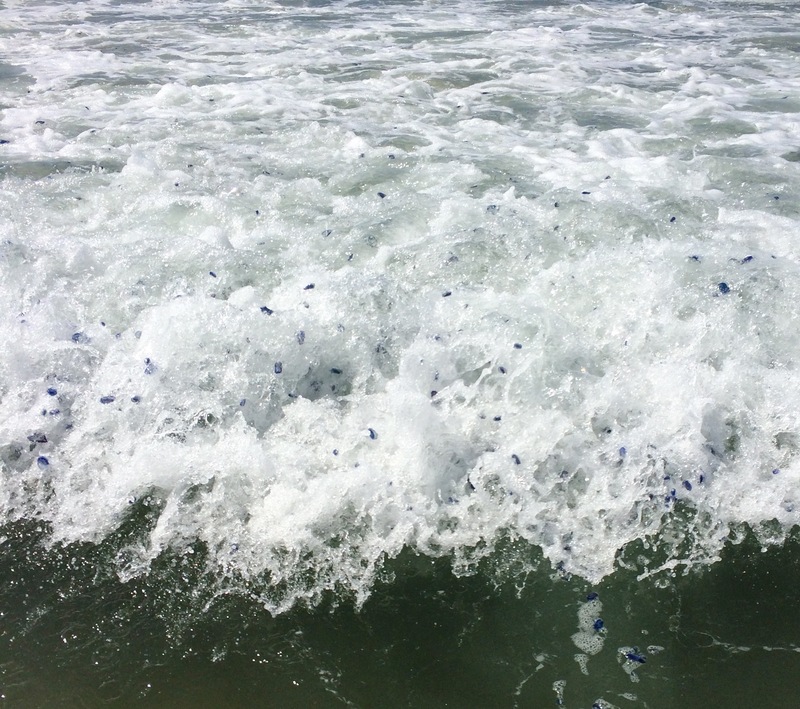 Free-floating hydroids, by-the-wind sailors, Velella velella, have been washing ashore in great numbers, for weeks. 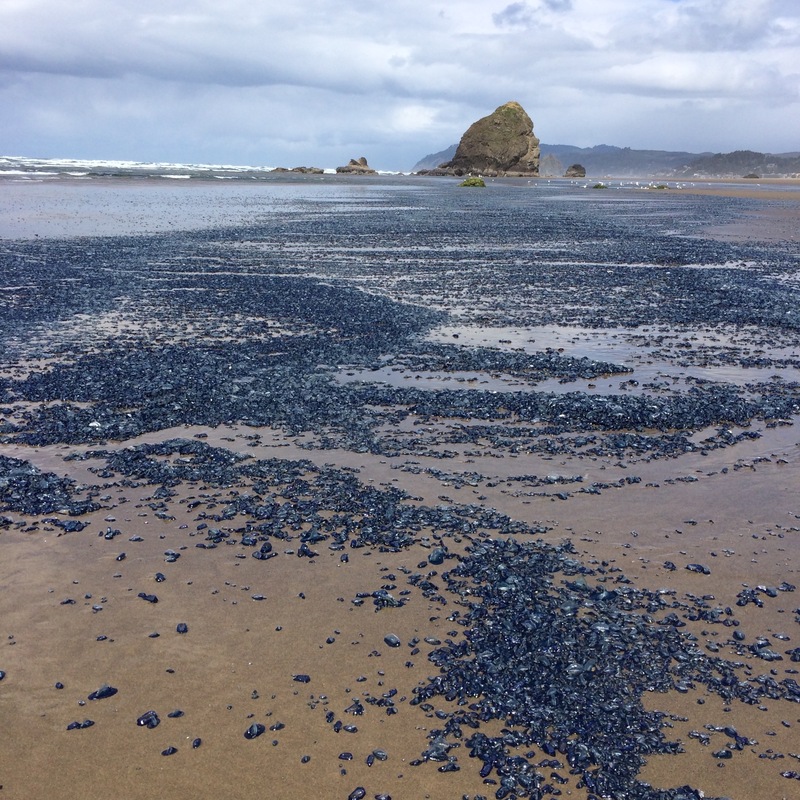 It’s a fairly common event on Oregon beaches, but this happens to be one of the biggest I’ve seen, so I’m sharing a few images that captured my imagination. Here’s the top of the drift line from a pre-dawn high tide. It was a wide and slippery drift line. I came across some rocks and found these anemones getting in on the action. At low tide, the surf, as far out as I could see, was full of by-the-wind sailors. The anemones made me curious. How would other surf-dwellers react? Would surfperch take advantage too? I took one small male silver surfperch, Hyperposopon ellipticum, and with a sensation of anticipation that surprised me, I checked the gut. 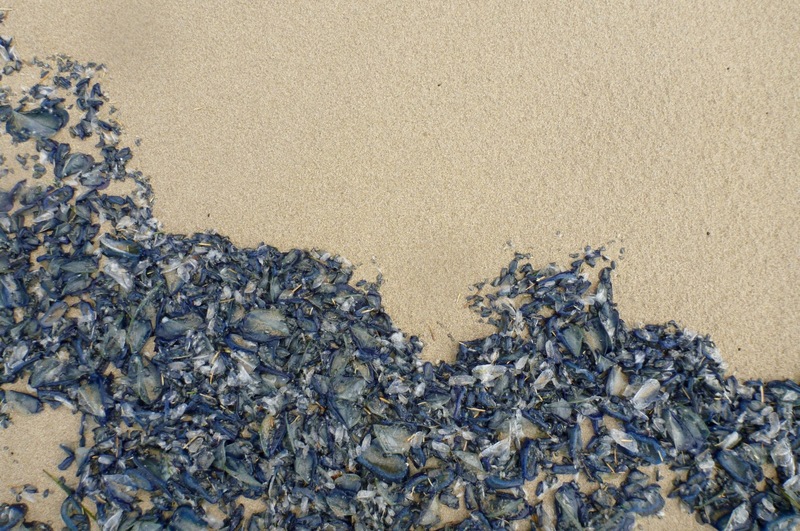 It was full of full of food – highly masticated crustaceans and unrecognizable goo, but no blue pigment and nothing resembling pulverized Velella. I don’t know how things are progressing anywhere else, but if you live in northern Oregon and want see by-the-wind sailors while they are still fresh, now’s the time to head to theoutershores. Many, many thanks for this post. 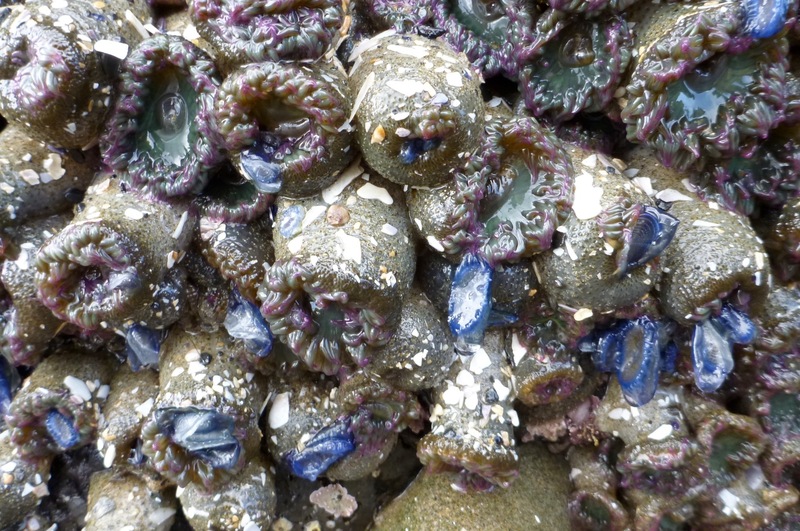 I ran across these organisms by the thousands when I was on the southern Oregon coast in the first half of May–they were particularly numerous at Bandon, on the beach abutting Floras Lake, and Nesika Beach. I don’t recall seeing them at Gold Beach or anywhere south of that (and I was all over the place–Hunters Cove, Myers Beach, Pistol River, five or six different beaches in the Boardman Corridor. Didn’t see them at Harris Beach either. In any event, I didn’t know what they were…just that they were slippery beyond belief until they tried out. Thanks very much for identifying them! We get them a lot too, but I’ve never witnessed numbers like that before. 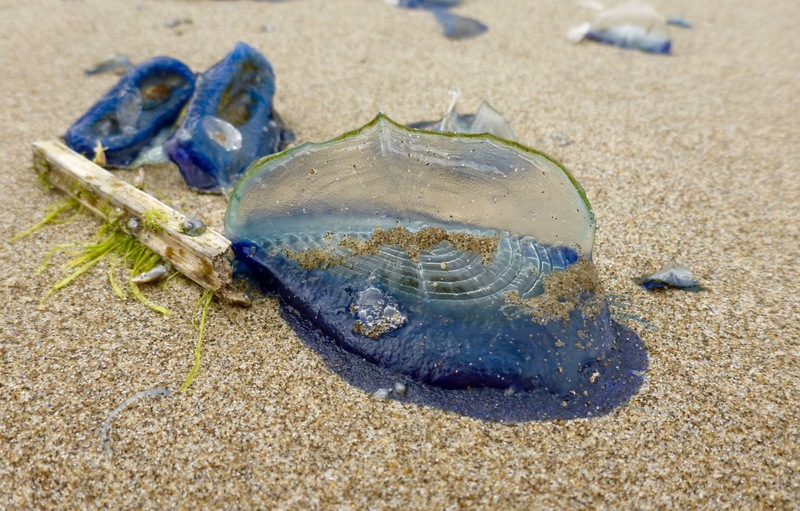 Blue bottles! They certainly have a world-wide distribution, at least in warm and temperate oceans. Next time I see one I’ll think blue bottles. Thanks for sharing.